So today is Family Day here in Alberta, so that means a holiday for us! I love a good holiday!!...hehe. Not doing too much either, hanging out with hubby watching some movies and stamping. I used Ruffles Puppy from Stampavie for the image and then colored with my copics. 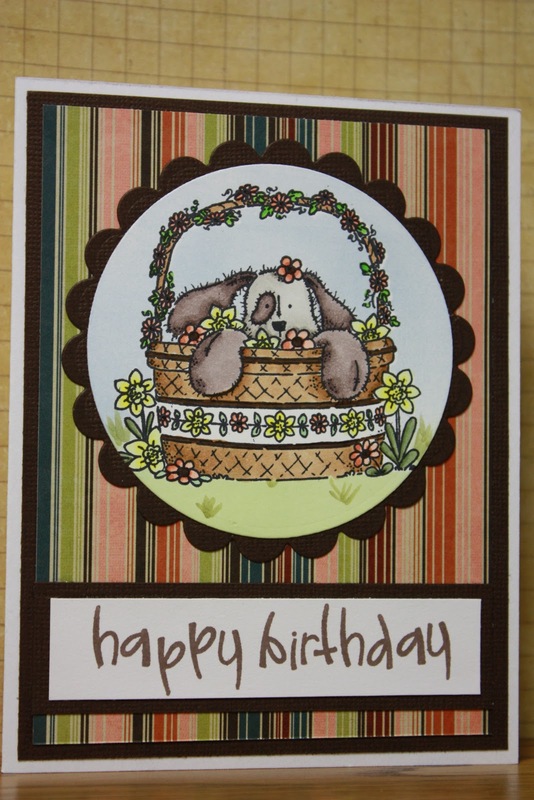 The patterned paper is from October Afternoon's Cherry Hill collection and the sentiment is from Close to My Heart.